Our Company actively participates in the development of a contemporary helicopter center «Heli-Drive», located on 7.9 Hectares adjacent to the territory of our «Portland» project. Our professionals provide guidance in architecture, marketing, and legal support for the project. 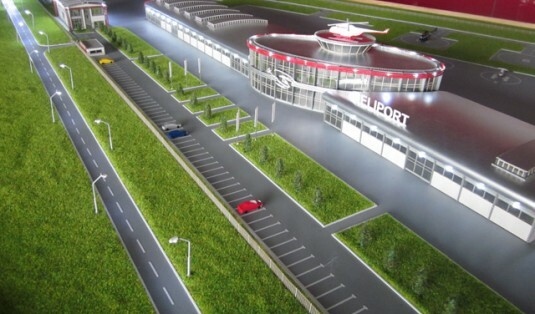 «Heli-Drive» is a contemporary private helicopter center. Project is planned for two development phases. The first phase commissioned the initial structure that includes a hangar for up to 15 helicopters, a workshop, and offices. A designated area has been allocated for storage of fuels and lubricants. Equipment hanger for up to 50 units of foreign aviation. The helicopter center provides a complete range of services for helicopter operations, from sales and leasing to complete technical service and maintenance. More Project details and current offerings can be found at www.helidrive.com.